Gwaai (Hluugiitgaa) is an artist from Haida Gwaii, an archipelago off of the northwest coast of Canada, and one of the few places left in this world that could still be considered wild. He is an Eagle from the Ts’aalth clan. He was born in 1977 to Jenny Nelson, an author and teacher, and Guujaaw, a drummer, carver, and political leader. 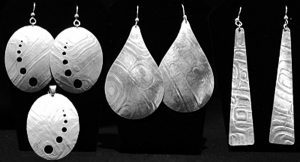 Gwaai’s experience ranges from comic books to totem poles, and includes gold, silver, and argillite jewelry. At sixteen, the late Bill Reid, who trained him in the traditional forms of Haida art, mentored him. Another one of Gwaai’s mentors was Hibby Gren, a local character who carved folk art from fishing floats and avocado pits. Hibby died when Gwaai was very young and so the only way Gwaai knew him was through his carvings. 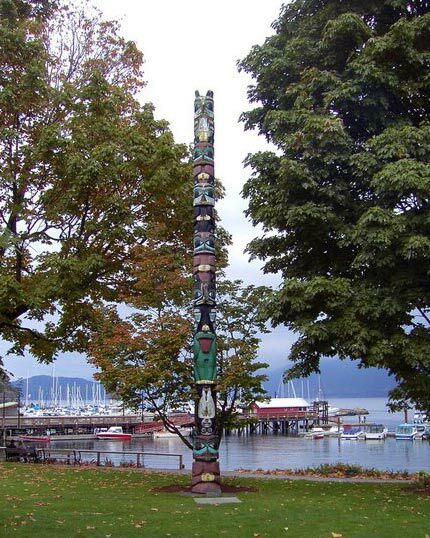 When he was nineteen, Gwaai worked on his first totem pole under Guujaaw. It was a forty-footer, which now stands in Indonesia. Since then he has worked on three more poles with his father. In 2002, Gwaai assisted Michael Nicoll Yahgulanaas with his graphic novel, A Tale of Two Shamans. This experience nurtured in Gwaai an interest in more experimental styles in Haida art. Gwaai is a graduate of Vancouver Community College, where he studied Jewellery Art and Design. Of particular interest to him was casting, which to date, remains his preferred medium. Over the past few years he has participated in Robert Davidson’s ongoing drawing classes. Gwaai is also one of the founding members of the Q’altsi’da Kaa players who are currently engaged in their inaugural project, Sounding Gambling Sticks, a play to be performed entirely in the Haida language.